Dubbed the “biggest publicly-voted video game awards ceremony on the planet”, the Golden Joystick Awards are back for their 35th year. If you’re a fan of gaming, these awards are your best chance at ensuring the titles you’ve loved most over this past year get the recognition you know they deserve. There are 21 categories to vote in too, so if you really loved a game and it’s been nominated more than once you can give it a good chance of winning big. One game that has a pretty good chance of picking up more than one joystick this year is Guerrilla Games’ Horizon Zero Dawn. Released in February of this year, the PlayStation exclusive has been nominated in eight out of the 21 categories. Given that it’d be impossible for the title to be nominated in categories like Best VR Game, Best eSports Game and Best Nintendo or Xbox Game this is a pretty impressive achievement. 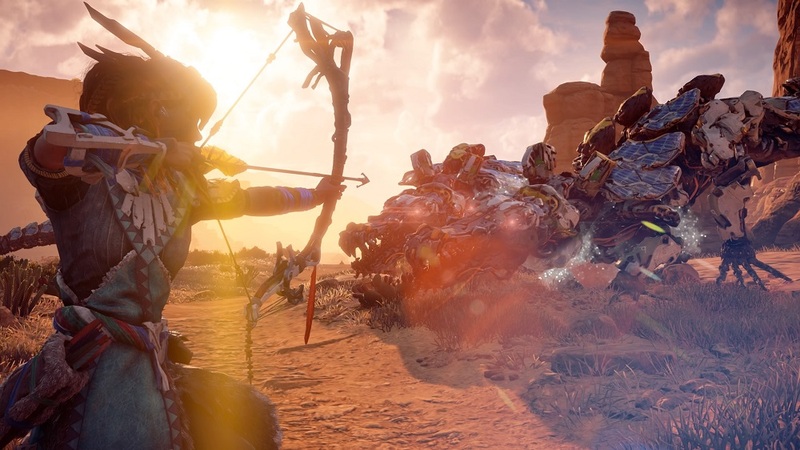 The categories where Horizon Zero Dawn is in-to-win are: Storytelling, Visual Design, Audio Design, Performance, Best Studio, Best PlayStation Game, Breakthrough Performance, and the coveted Ultimate Game of the Year. Voting is currently open over at GamesRadar but it’s not long until the winners are announced on November 17 so make sure you have your say soon.